Favorites time! The hardest part of this column is always figuring out what makes the cut. Since I am thinking about food, nutrition and the like 93% of the time- that’s a lot of brain space dedicated to filtering through what’s worth it- and what isn’t. A quick round-up of my favorite products, books, articles and more from February. No sponsors, just love! BL and I have both been on a major sandwich kick this month. I don’t know if it’s because I’m back to baking homemade bread on a semi-regular occasion or what, but we’ve been eating loaded veggie sandwiches for lunch or dinner almost daily. Favorite combo: pepper jack cheese, spinach, tomato, cucumber, pickles, banana peppers, pickled jalapeños and a generous smear of these Just Mayo sauces. 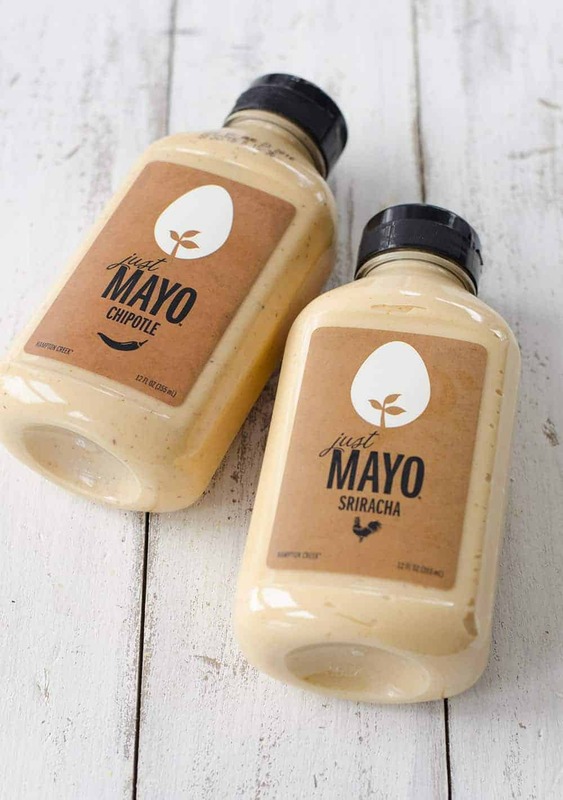 Oddly enough, I don’t even like mayo that much- the globby texture totally grosses me out and I usually will only eat it if it’s hidden in recipes. But, I bought this sauce on a whim after hearing so much about the vegan company and figured BL would love them. Well, I like this stuff so much I have to be reminded not to put it on everything, especially when I realized how delicious the chipotle flavor tastes on roasted sweet potato cubes. Our bank is in a WalMart- which is something I would have never said in California but totally get now that I live in Missouri. Anyways, I really dislike Walmart for a slew of reasons, and have made a point not to shop there for years. Sadly, convenience gets the best of me sometimes and I will grab a few items as needed after my bank run. While I’m still not a Wally-World fan, I have to give them credit where credit is due- they are totally stepping up their game with the availability of organic and vegetarian products. Honestly, this is big. Because when WalMart does something, it means this trend is no longer for the co-op and Whole Foods crowd. I know the availability of vegetarian foods has spiraled over the last few years, but I still get excited when I can find veg items in the least expected places. 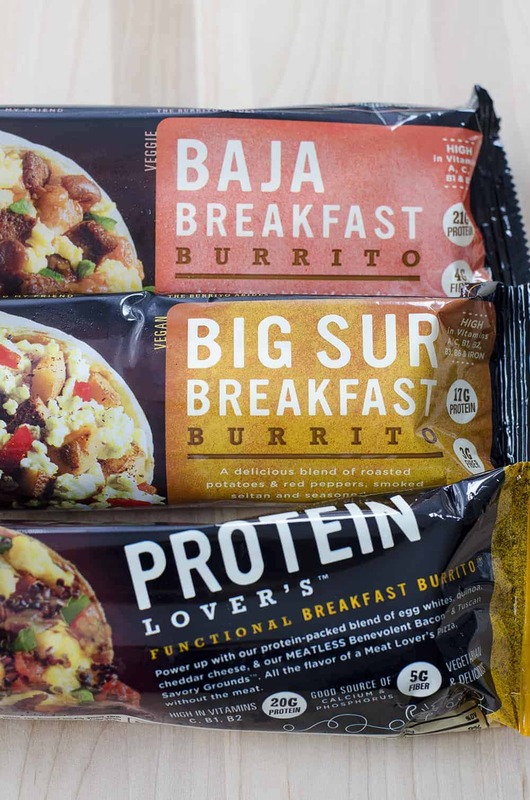 I almost stopped in my tracks after seeing a giant display of these vegetarian and vegan breakfast burritos- and picked up a dozen of them in sheer happiness. They are amazing. I sent one to work with BL for breakfast and promptly got a text a few hours later wanting to know what kind of burrito did I pack for him? It was the best burrito he’d ever had. My favorite is the Big Sur- packed with potatoes, peppers, smoked tofu and seitan. It’s so incredible flavorful and left me satisfied for hours. BL can’t get enough of the Baja version. I know I’m supposed to be the queen of salads; I WANT to be the queen of salads but I’m finding it harder and harder to get excited about raw produce when it’s 10 degrees outside. When there’s snow on the ground, the last thing I fantasize about is kale; instead I want pasta, bread, a warm cup of coffee and my bed. 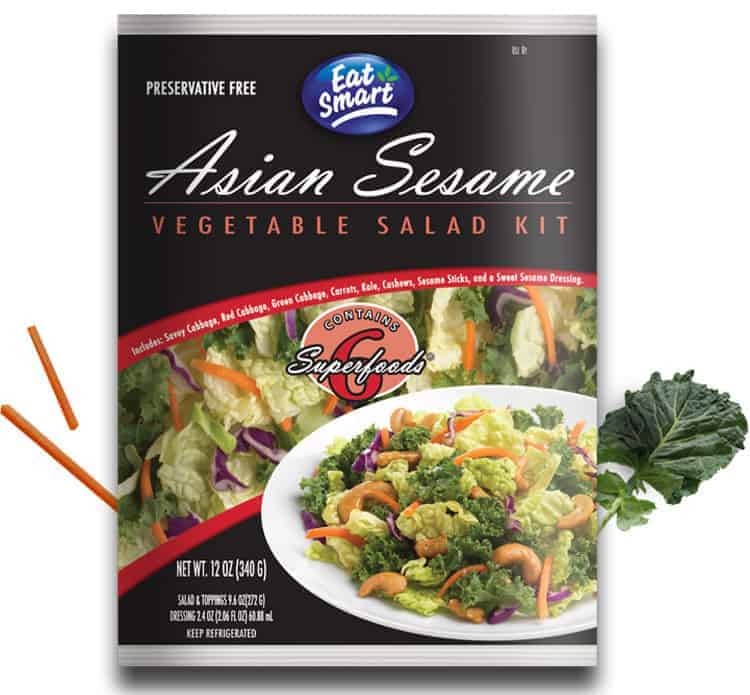 But, because I know how important it is to eat my leafy greens, I’ve been turning to these pre-made salad kids from Eat Smart instead. They have a ton of different varieties (Asian and Southwest are my favorite) that make eating vegetables really, really easy. No chopping, just throw it in a bowl, dress and you are good to go. February is the month of sweets, sweets and more chocolate. I become so much more aware of how much sugar I eat when I’m constantly surrounded by it. After an overindulgent Fall and Winter, I really wanted to cut back on the amount of dessert and sweets I was taking in. Which, is much easier said than done as a constant sugar scavenger. 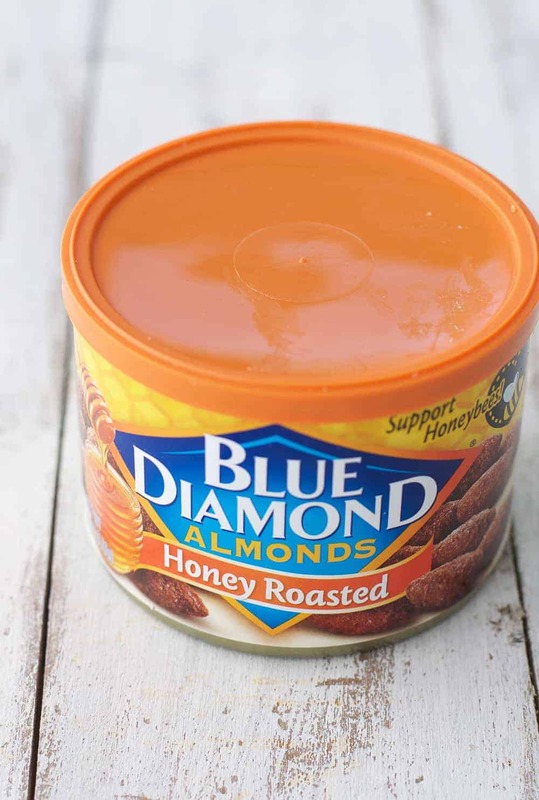 Even though these nuts are still coated in sugar, they seem like a better choice for a quick after dinner snack when I’m craving chocolate. Just a few are enough to curb my desire for sweets- bonus points that they are almonds. This book has nothing to do with food or nutrition, but it’s so incredibly powerful that I wanted to share it with you. I’m a complete sucker for any and all self-help books. I love being inspired, especially by such strong, magnetic women. I’ve been a fan of Elizabeth Gilbert since her Eat, Pray, Love days and picked this up after the recommendation from a friend. It’s such an intensely powerful book, I can only read small bits at a time before getting overwhelmed with possibility. Highly, highly recommend. I’ve been on a big meditation kick lately. Which, is highly ironic because even though I know how amazing mediation is for me, I usually kick and scream the entire way through. But, something clicked a few weeks ago and I can’t get enough. 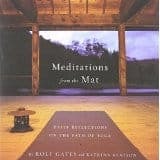 I bought this book for a friend who just completed her Yoga Teacher Training and decided to pick it up for myself as well. I turn to it almost every morning for a quick read before I start my meditation. How overthinking ruins you and how to overcome overthinking and worrying. In the age of social media, I don’t know anyone who doesn’t occasionally feel jealously when scrolling through their Instagram feed. 12 ways to combat internet jealously.